A few months ago I posted the Cab Sav. by Sean Minor and from what I’ve heard the market went crazy for it. A great wine at a great value so go figure, the price also went up $3-$4 since then. Congrats on market penetration with a great wine…I’ll still pay $18/$20 for it. 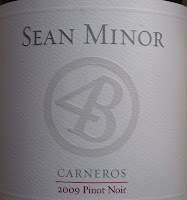 The ‘09 Pinot Noir is no exception for another great wine from Sean Minor however, I’m not sure pricing will jump like the Cab. so find some of the ’09 Pinot while it’s still on the shelf. 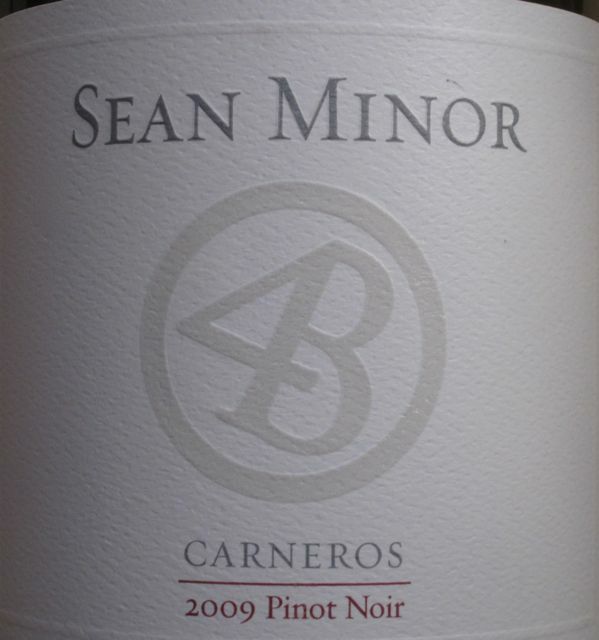 Aromas of cherry jam, black pepper and lightly toasted oak all found to be pretty typical of a Pinot Noir. The flavors of sweet plums, blackberries and cocoa really measured up to a well-balanced wine. Hints of vanilla and caramel supported smooth tannins on the finish. Thanks for writing up our wines! We appreciate it. Cheers!